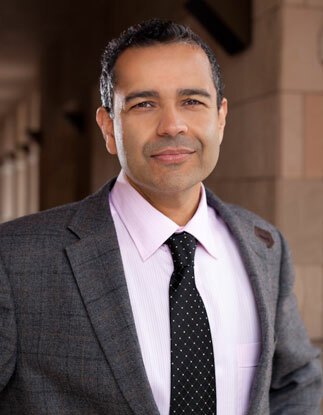 Recognized for his humble bedside manner, humanitarian efforts, honesty and excellent technical skills, Dr. Batra has built a highly-prestigious and world renown cosmetic surgery practice in San Diego, California. He has gained national acclaim for his work in aesthetics conducting facial surgery, cosmetic breast surgery, and body sculpting. He has been honored as a Black Diamond Account holder for Allergan based on his volume of breast augmentations. Dr. Batra is known around the world for his charitable work and constantly makes it a practice, giving back to those in need through the DOCS Charity and his yearly trips to India. Dr. Batra also went to India after the Tsunami and to Nepal after the recent earthquake to offer his services. Dr. Batra belongs to the American Society of Indian Plastic Surgeons and has over 20 years of surgical experience, highly regarded for taking on the most complex and unique surgical cases. In 2004, Dr. Batra trademarked the GBRX procedure in the US, known as a hallmark of reconstructive surgery for gastric bypass patients. Patients come to Dr. Batra and Coastal Plastic Surgeons for the quality of care and successful results each patient receives, with referrals coming in from physicians all over the country. Dr. Batra is also a member of Coastal Medical Group. Relying on expertise of surgeons from diverse sub-specialties, Coastal Medical Group helps patients requiring treatment of traumatic injuries. We have financing solutions for every procedure. Coastal Plastic Surgeons is pleased to recommend the CareCredit card, the leading patient payment program in North America. Backed by the financial resources of GE rather than a bank, this program is very stable. CareCredit has a full range of payment plans to meet nearly every financing need, including no-interest and low-interest options, details that you can read about on their website. We do offer no interest for 12-months when paid in full during the promotional period. Their programs are noted for low monthly payments and no upfront costs*. The application is simple and you will receive an online decision in seconds. Click Here to read more and apply now. *Coastal Plastic Surgeons only accepts CareCredit at $1,200 and up in service costs. Great rates and flexible plans. MedicalFinancing.com offers convenient financing programs and flexible payment options. With available limits from $1,500 to over $25,000, including financing programs for even those with less than perfect credit. Rates start as low as 5.99% and there are no prepayment penalties. Quick and easy loan process. Applying for a medical loan is fast and easy. Simply fill out the online loan application form and upon completion one of our friendly and knowledgeable loan experts will notify you about your options. MedicalFinancing.com offers a wide range of financing solutions and will assist you through the entire loan process every step of the way. Afford procedures that are not covered by health insurance. MedicalFinancing.com can finance a wide variety of medical procedures that are not covered by health insurance. Loans are available for liposuction, hair restoration, vision correction, tummy tuck, breast augmentation, gastric bypass and most other common medical procedures. *Rates starting as low as 5.99%. We offer promotions such as fixed interest rates, deferred interest, and fixed low monthly payments. No prepayment penalty. Bad credit financing available with co-signer. **Requirements for Guaranteed Approval Program: checking account, must be gainfully employed, must be able to afford the loan, must be able to save a down payment towards your procedure, provider participation. If you meet the above criteria you may be approved.